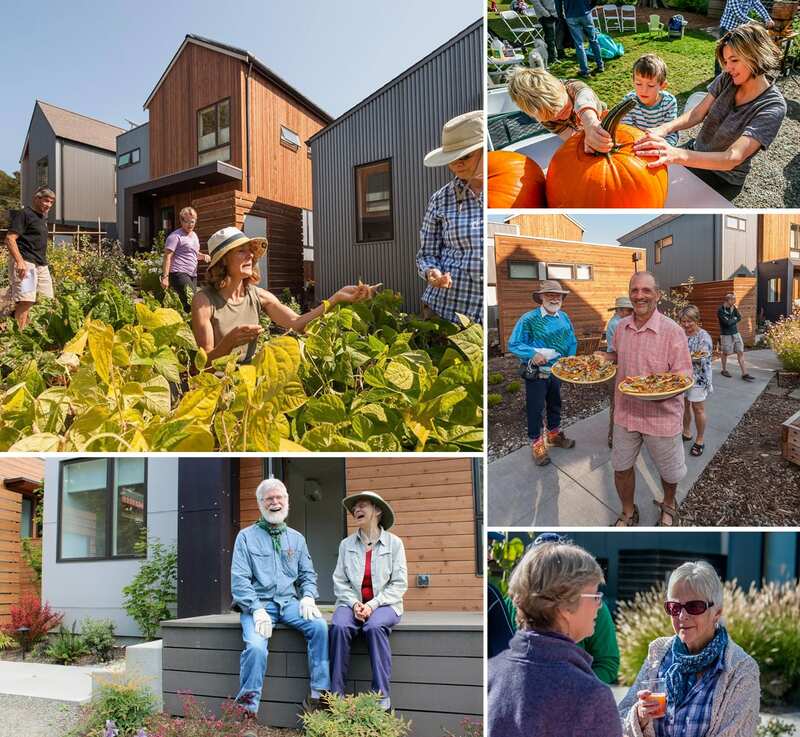 A real sense of “neighborliness” in a community designed to foster closeness, connection and cooperation. Amelia Parker had been following the work of Bioregional and its One Planet Living initiative for years, since the development of London’s famous BedZED zero-carbon community in 2002. When she learned that there was another One Planet Community just a few miles away on Bainbridge Island – she was living in Bellevue at the time – she decided to visit and see environmentally friendly development firsthand. She and her spouse found Grow Community. After speaking with residents, they made their move – to the Juniper building in the new Grove neighborhood. It’s a real turn toward sustainability from her last home, a 1912 Craftsman bungalow. It was beautiful and twice the size of her current home, she says, but trying to modernize and maintain it was exhausting and expensive. At Grow, she has found a simpler lifestyle, one that de-emphasizes the need for a car, with easy connections to local shops and merchants, and even travel hubs like the ferry system and regional rail. She also finds a real sense of “neighborliness” in a community designed to foster closeness, connection and cooperation. Does she recommend Grow Community? https://growbainbridge.com/wp-content/uploads/2017/07/grow-lifestyles-collage1.jpg 1174 1275 Grow Team https://growbainbridge.com/wp-content/uploads/2018/05/growlogo-300x110.gif Grow Team2017-07-13 17:18:332017-07-13 17:58:49A real sense of “neighborliness” in a community designed to foster closeness, connection and cooperation.